Tevin Campbell is an acclaimed musician, singer and songwriter from Texas who came into the limelight when he contributed vocals for “Tomorrow” on music impresario Quincy Jones’ album “Back on the Block”. Perhaps, he caught the spotlight with his No. 6 Billboard single “Tell Me What You Want Me to Do” from his debut album, “T.E.V.I.N..” His second album, “I’m Ready”, released in 1993, went double platinum. Also a talented actor, he proved his mettle as an actor with his flawless performances in the sequel to Prince’s Purple Rain entitled Graffiti Bridge and played Seaweed in the Broadway musical Hairspray. He also lent his voice to the character called Powerline in Disney’s animated A Goofy Movie film. Tevin Campbell as born on the 12th of November 1976, in Dallas, Texas, United States of America. He is currently 42 years old. Place of Birth Waxahachie, Texas, U.S. Unfortunately, Tevin hasn’t revealed much about his personal life. His mother, Rhonda Byrd, worked in the postal department and a singer as well. During her time, she was nicknamed Little Aretha, who inspired Tevin a lot during those days that made him a successful singer today. He never shared a close bonding with his father whose name is unknown. He has a sister named Marche Campbell. Speaking about this educational background, again, there isn’t any information about the same as he expressed his interest to become a singer at a very young age. He was a member of his church choir, then, began his solo act at Joshua Chapel in a small town located south of Dallas, Texas. Perhaps, he didn’t receive a formal school education as he devoted his entire time to music since his early years. 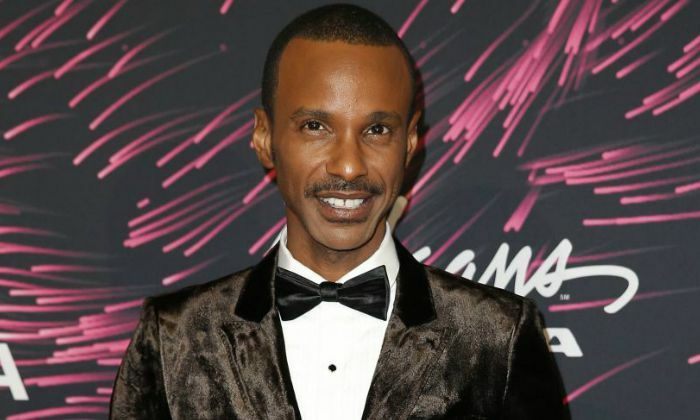 Is Tevin Campbell Gay? He has always managed to keep his personal life under the wraps. There is no information about his romantic connections, present or in the past, however, he was accused of being a gay. He denied those allegations and confirmed he is ‘Try-sexual’. He mostly stayed out of the public eyes when it comes to his personal life. Campbell’s professional singing career took off when he clubbed with the R&B singer Quincy Jones and worked on the single “Tomorrow (A Better You, Better Me)” which was a vocal version of a 1976 instrumental by The Brothers Johnson. The single managed to top the Billboard Hot R&B/Hip Hop Singles chart. Tevin Campbell released his debut studio album, “T.E.V.I.N.”, on November 15, 1991. The album spawned R&B hit singles, “Tell Me What You Want Me to Do”, “Alone with You”, and “Goodbye”. The album went platinum, peaking at #38 on Billboard 200 chart and #5 on the Top R&B/Hip-Hop Albums chart. He gained a prominent singer status with the release of his album T.E.V.I.N., for which he was nominated for Best Male R&B Vocal Performance at the 35th Grammy Awards. Campbell landed his first television role in the NBC television movie, Wally and the Valentines in 1989, in which he played the role of Russell Valentine. The following year, he guest appeared guest as a fictional teen idol, “Little T”, on the NBC sitcom, “The Fresh Prince of Bel-Air”. In 1990, Campbell made his feature film debut, playing Tevin in the rock musical film, “Graffiti Bridge”, which is the sequel to Prince’s Purple Rain. One of Campbell’s most remarkable work is his second album, “I’m Ready”, which earned him international recognition and fame. This album went double platinum and spawned three chart hits: “Can We Talk”, “Always in my Heart”, and “I’m Ready”. It peaked at number 18 on the Billboard 200 chart which is his most successful album to date. He achieved immense success in her early years and has been in the spotlight until his arrest in 1999 and went on hiatus until the mid-2000s. This largely affected not just his music career but also his nets worth. His net worth is estimated to be $2 million today. Apparently, the majority of the wealth that he has sustained today was from his early career. He has sold around three million albums worldwide, with most of the sales coming from his first two albums. He began singing gospel in his church choir and then as a soloist at Joshua Chapel in a small town just south of Dallas, Texas. His first two albums T.E.V.I.N. and I’m Ready were largely received by the public and achieved major success, both critically and commercially.s. But his third album, Back to the World, failed to impress music lovers. it was also a disappointment in sales as well. In 1994, he won the Best R&B Single, Male for his track “Can We Talk’ at the Soul Train Music Award event. In July 1999, Campbell was arrested after soliciting a lewd act from an undercover cop in Van Nuys, California. In addition, he had a small amount of marijuana in possession when he was arrested. He received a fine of $1,080 and was ordered to attend Narcotics Anonymous and an AIDS awareness class. In early 2000s he kept a low profile and completely went out of the public eyes. He made his first public appearance in 2005 when he appeared on Broadway in the musical “Hairspray” as Seaweed J. Stubbs. Campbell is an altino countertenor who possesses a four and a half octave vocal range. He would appear on season 4 of OWN’s television scripted drama Queen Sugar.